Oral folk tales and stories are part of human tradition. 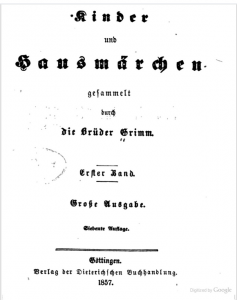 In the late 1700s and early 1800s, many of these stories began to find their way into print. Some history of this genre’s transmutation from oral to visual is documented here. 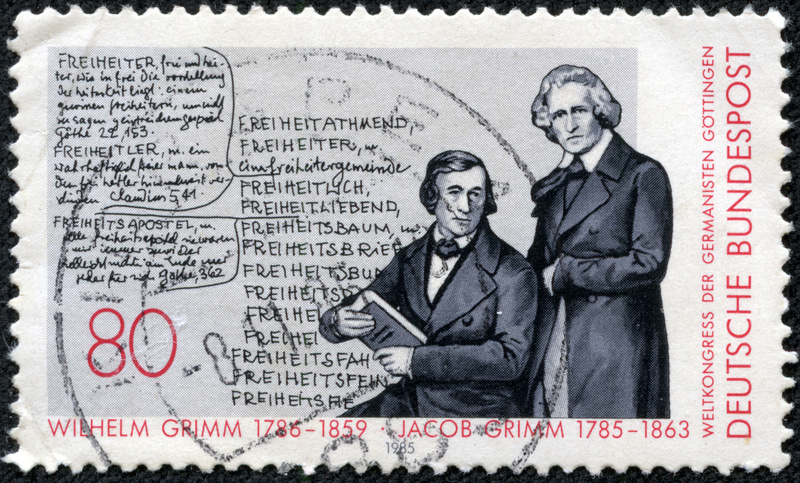 The Grimm brothers were not the first to print previously orally transmitted stories, but were the most successful. Their first collection was readied for publication in 1809 but was lost after being sent to Brentano and never published during their lifetimes. 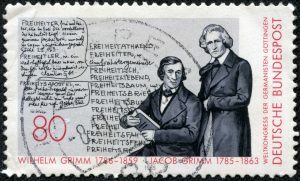 In 1812, Grimms’ first edition was published; other editions were published nearly every decade to 1857 . As best I can determine, the first edition had no illustrations. 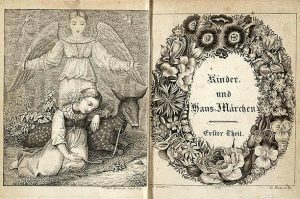 By 1819, engraved illustrations for the frontispiece and title page were included and these were done by their younger brother, Ludwig Emil Grimm. 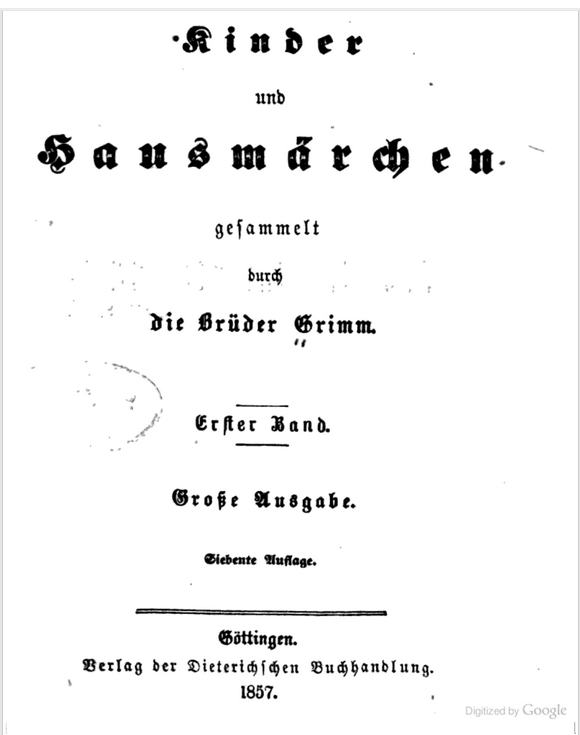 Even by the edition of 1857, there is a lack of illustration in the German edition. It is a foreboding book with small margins and text set in a variant of black letter. (This example from the digitized book at Google.) 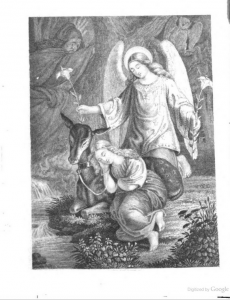 The sole illustration I found was the frontispiece. However, an English edition dated 1857 is profusely illustrated. I cannot reconcile the claim of illustrations to the German edition with the lack thereof in the digitized version. However, the difference might be explained by the edition; there were, per Wikipedia, “large” editions and “small” editions. The small editions were intended for children while the large editions were annotated, adult-oriented and scholarly. Considering the confusion and lack of information I found while researching, it would seem a good field for a professional study.